Imagine a walk along a breezy beach in late spring, wind and waves. Or a chillier summer evening outside. 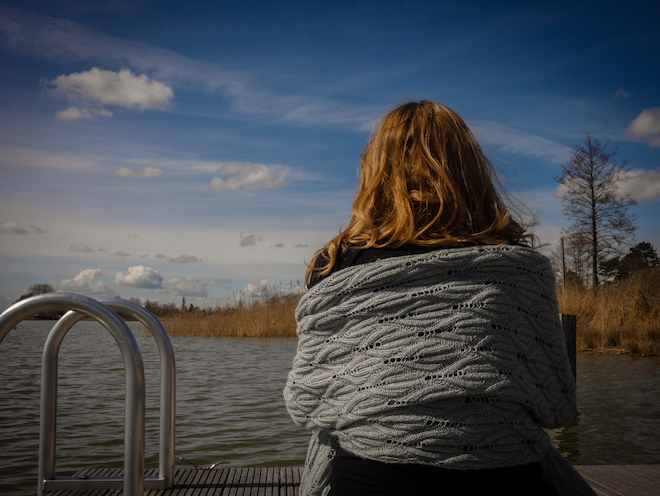 This is what I had in mind when I designed Summer Breeze shawl. Therefore, I absolutely wanted to take the illustrating pictures for the pattern and the blog near water. Etang du Stock is a lake in Lorraine/France, just an hour drive from my home. 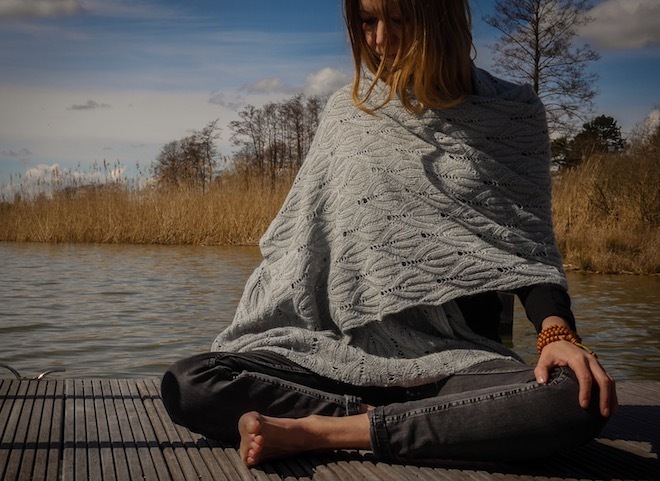 My friend Michaela, a talented Graphic Designer, photographer (and so much more) thankfully agreed to assist and to model Summer Breeze shawl for me. 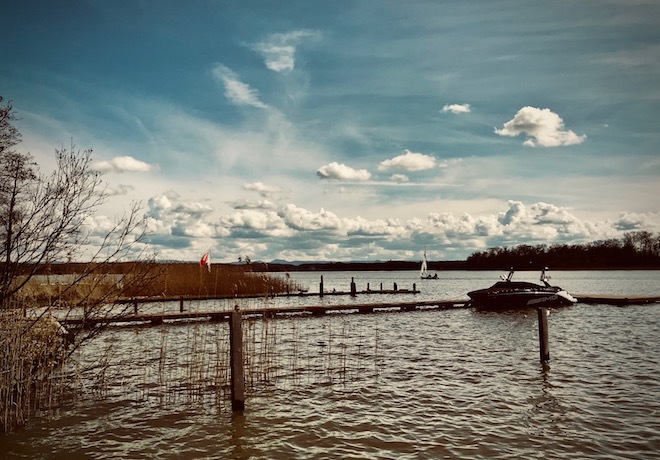 We had been very lucky, the Saturday before Easter was probably the first sunny spring day here in our region. So join us! Here are our pictures. Summer Breeze is a basic minimalistic piece that complements every outfit. I absolutely love it and I am sure it will make me happy for a very long time. The construction of Summer Breeze is straightforward and rectangular. What I like best: The pattern is reversible. It features a 2/2 ribbing with a lacy centre that looks equally pretty from both sides. This is an important detail for me when knitting a shawl. So, no wrong side here, you can just throw Summer Breeze casually around your shoulders and snuggle in. Borders are worked with a triple selvedge stitch that forms a neat mini i-cord along the side. A most satisfying finish for this simplistic shawl. 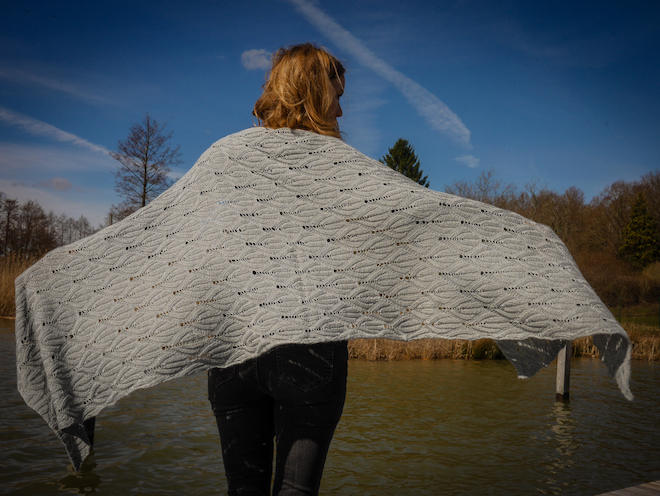 Summer Breeze shawl was designed for Meadow, a luxurious yarn blend by The Fibre Company. I gladly received the yarn as part of TFC’s great yarn support programme, that encourages self-publishing indie-designers like me to work with their yarn. 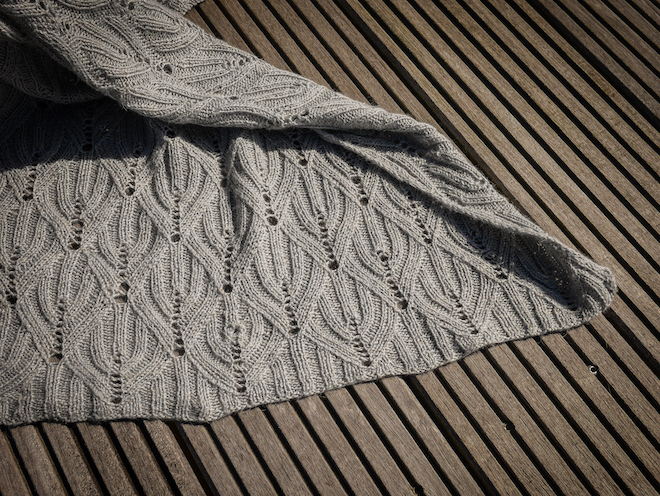 I was over the moon when I learned that my design was selected and I got the chance to work with this great yarn. Meadow has everything a shawl needs. It is soft with a little halo because of Merino wool and baby llama (oh, so soft against your skin). The silk has lovely sheen and after blocking it has an incredible drape thanks to the linen. Michi and I lingered at the dock. We took pictures, enjoyed the sun, the tranquillity, the wind (and the shawl), the mountain tops of the Vosges in the distance. 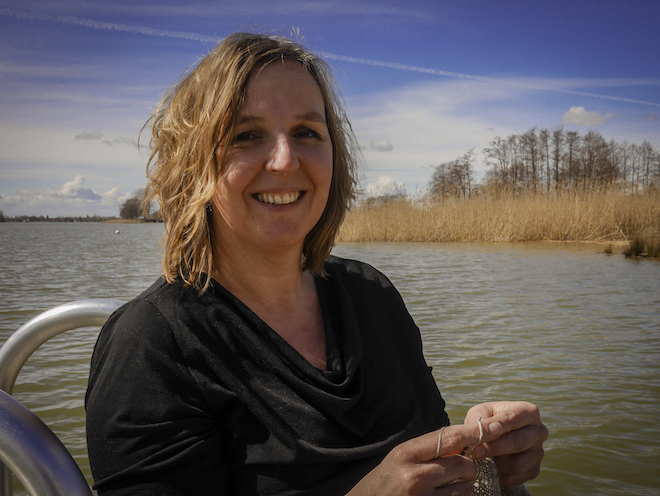 I also dipped my feet in the lake or the very first time this year. I also managed to knit a few rows. 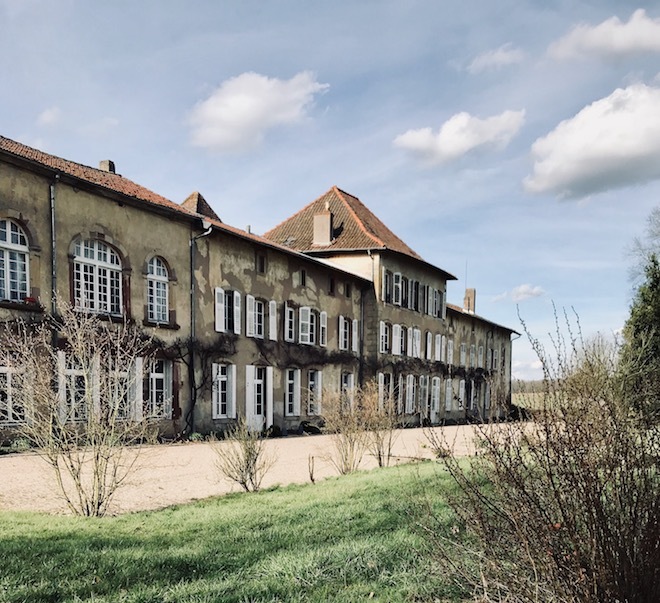 After we parted from the dock, we decided to visit David, who is the owner of Chateau d’Alteville that dates back to the 16th century. If you ever happen to be in the region, make you spend the night! David transformed it into a Bed and Breakfast and kept its ancient charm. You will sleep in style. 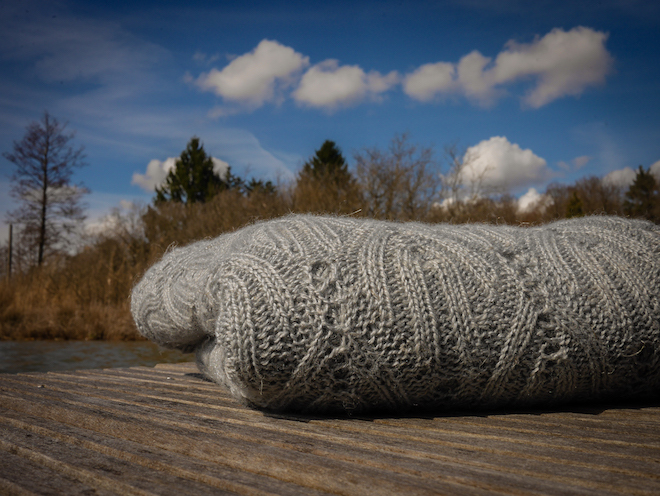 Pingback: Meet Sabine Frisch: Indie Knitwear Designer - The Fibre Co.